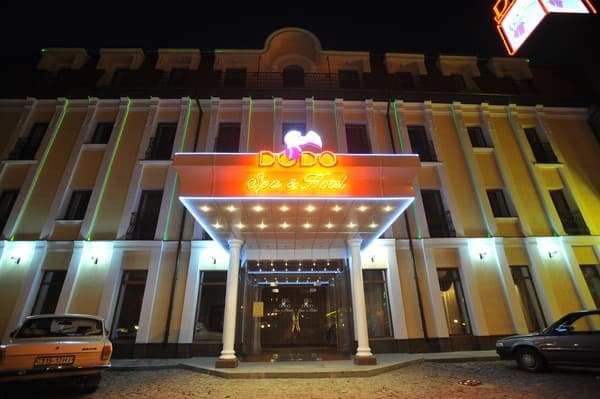 New privately owned hotel and entertainment complex "Dodo" in the city center. 25 comfortable rooms with all conveniences and a design that will not leave you indifferent. Your choice of 1-2-bed standard rooms, de luxe rooms and VIP-European level. 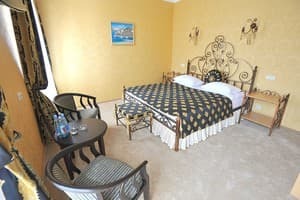 For your convenience, each room provides for a plasma TV with cable TV, minibar, air conditioning, safe, internet, phone. Also, the cost of any of the rooms include breakfast. The hotel offers the best service for your holiday. 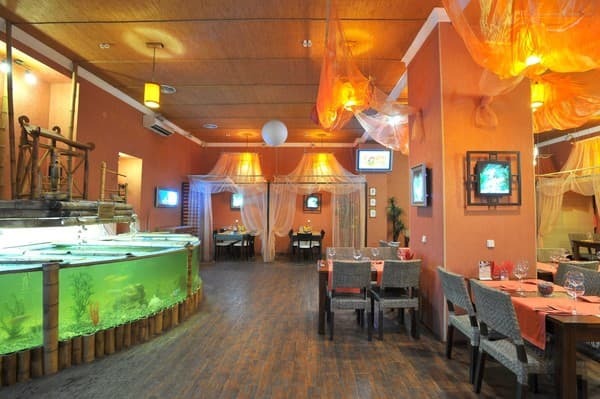 You can also visit our entertainment complex: restaurant "Gold Fish" - a cozy interior, comfortable atmosphere, extensive menu from the home to the exquisite Japanese cuisine and a lounge bar where you can enjoy brand hookahs on fruit and not only; disco hall with music different directions. And also at your disposal: - car parking (free) - round the clock laundry and ironing - a flexible system of discounts, hospitality, service-oriented convenience of guests, skills and cordial relationship - these are the components of our beautiful Desk. 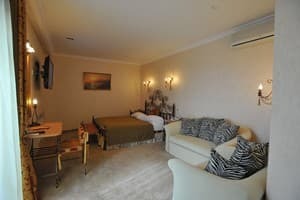 There is no better place in Zhitomir, than a hotel Dodo, where you could enjoy the comfort, comfort and superb service. We are always happy to welcome you! 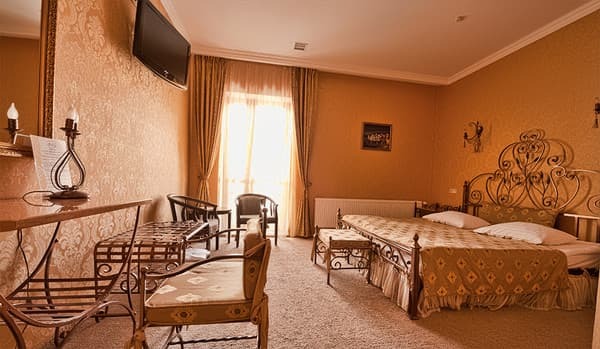 Description of the room: For a homely room, which includes: individual air conditioning and heating system; satellite television; telephone communications; access to the Internet (free of charge); mini-bar with a choice of alcoholic and non-alcoholic beverages, sweets; modern bathrooms with a full set of toiletries, bathrobes and slippers; individual safe; services of the restaurant (room service is possible). 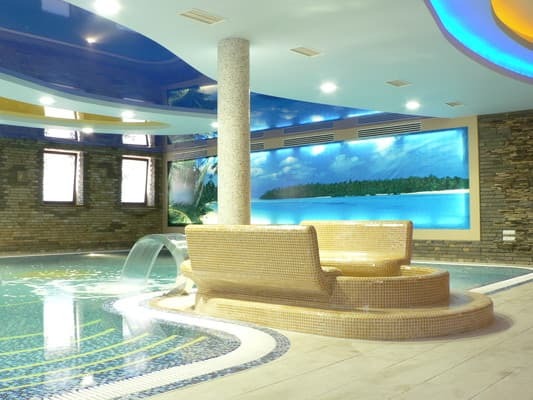 The price includes breakfast, 2 hours in the SPA center and parking. 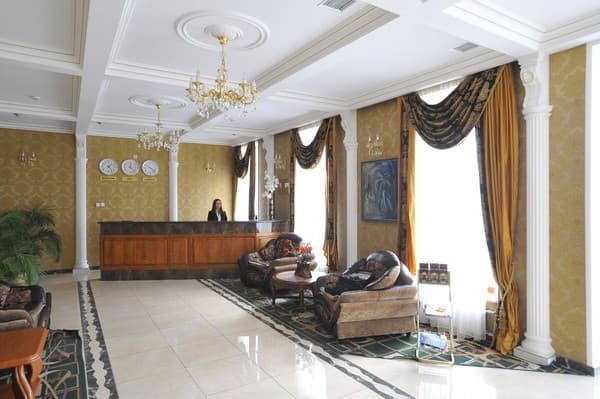 The hotel is in Vatutina street, 13. Just 5 minutes from the central square.